The World Health Organisation reports that patient adherence to prescribed medication can be as low as 50% and states that “increasing the effectiveness of adherence interventions may have a far greater impact on the health of the population than any improvement in specific medical treatments. However, research consistently highlights that the complexity of a medication regime is a significant barrier to patient adherence and that the quality of patient – doctor communication can affect outcomes for patients. HealthBeacon is designed with simplicity and usability in mind while being aesthetically appropriate to the home environment. Healthbeacon is an ambitious startup that has made the traditional sharps bin, smart. 100s of millions of patients take medication in their home by injection. Right after taking their medication they are required to throw away their used needle away into a sharps bin. 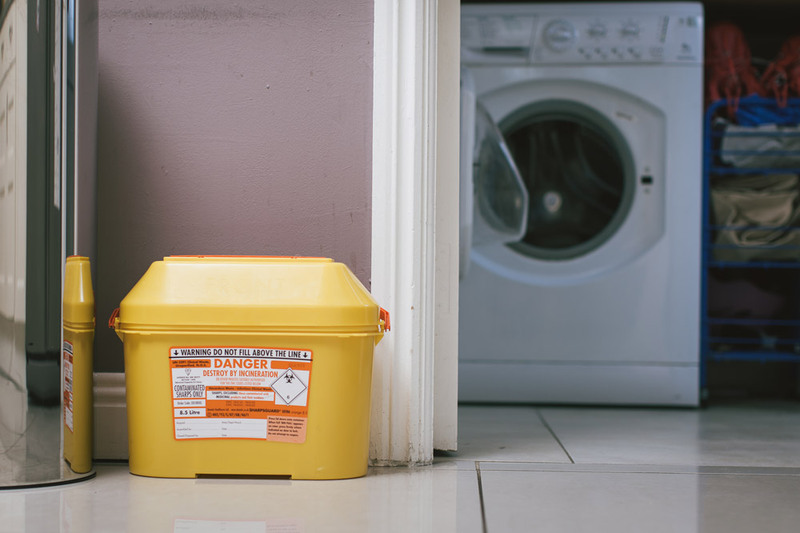 Traditional sharps disposal, usually hidden or placed somewhere unobtrusive. It acted as a negative reminder of the patient’s condition. HealthBeacon’s connected medical device supports patients to achieve greater medication adherence at home by reducing complexity and improving communication with their doctors. It is designed to help users manage complex medication regimes through prompts and reminders. 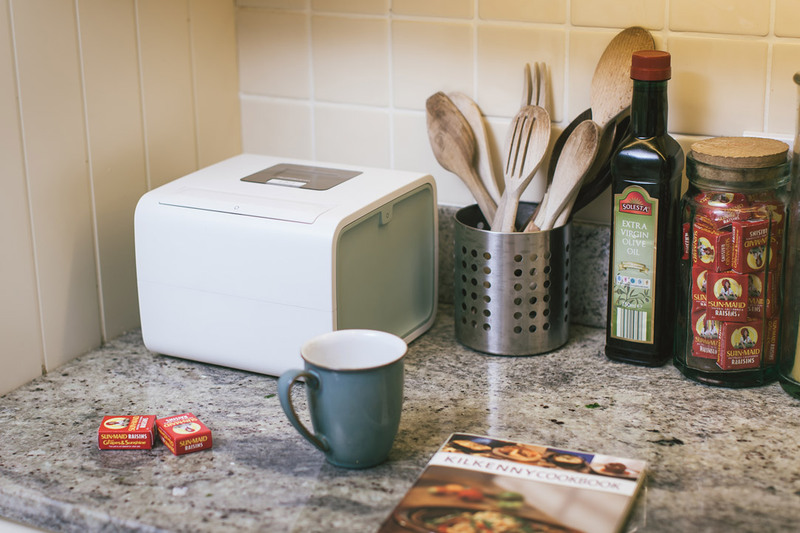 Helathbeacon is designed to fit into your home like any other appliance. 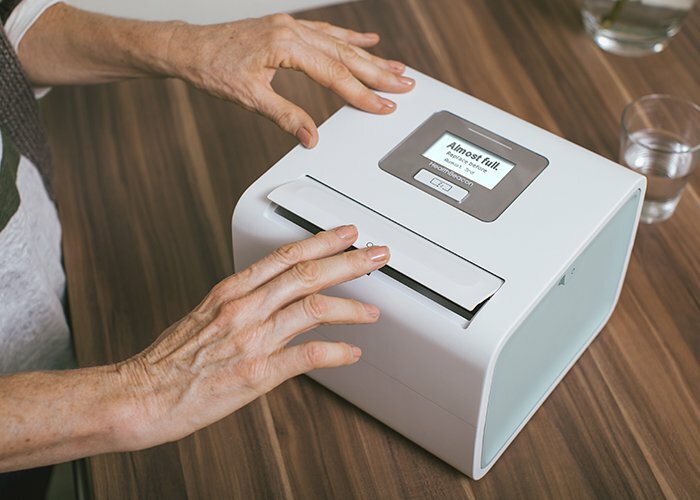 Sitting discreetly in the user’s home, the connected device sends data to an online dashboard where the nursing team can view the patient’s progress. If a dose is missed the clinician can send an intervention or reminder to the user to take their medication. The smart sharps system also provides a solution for the disposal of spent medical devices and the management of sharps waste. The collected data is then deidentified and anonymized allowing Healthbeacon to provide its clients with trend analysis on how populations are adhering to medicine and what types of interactions drive better outcomes. "Working with Design Partners ensured both patients and healthcare providers had innovative and intuitive solutions provided for them"
Jim Joyce CEO and Co-founder of HealthBeacon. HealthBeacon is a revolutionary product in the connected health space. The device empowers users to manage their healthcare from home as if being supported by their family doctor on a day to day basis. Already, Healthbeacon has raised €1 million in seed funding through private medical and technology angel investors along with governmental funding programs.